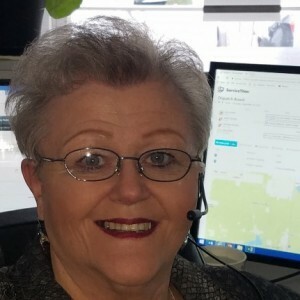 * Total number of reviews and star-ratings are based on data collected during the time period 4 Seasons Heating & Cooling has been using the ReviewBuzz system and may not directly match the data found on each public review site. Jay was a pleasure to have for this inspection and service. Professional and explained in understandable terms his work. Excellent customer service, Jay was very thorough and explained the results. Also recommended some preventive items that I will benefit form to reduce problems in the future. Anthony W. is a very professional and thorough service tech. Thank you for providing great service and attention to detail. very professional. enjoyed polo. answered all our questions and he was very helpful. thank you so much. we'll be seeing him soon . Logging a service call was easy and same day response was appreciated. $149.00 to clean and test a flame sensor seems excessive. The technician did the work competently however when I asked if he could vacuum the unit while he was there he said only if I purchased a service agreement. He also noticed my filter was incorrectly installed. Could he have taken the extra 10 minutes and move the filter and quick vacuum? Yes, would he no. This is a rental property and I was not on site so not much I can do. I have given my business to 4 seasons in the past and probably not again. When Mike was a startup business he took more pride in customer friendly service. Seems this way of doing business has changed. Wonderful service, extremely prompt, explained everything in detail! Polo, Matt, & Eric were very professional, did a great a job. Had been experiencing a musty odor coming from air vents when furnace came on. Had air ducts cleaned by another company but odor remained. 4 Seasons came out to give estimate on new HVAC system. They were here for almost 2 hours inspecting system and located black water in the crawl space which is why I had the odor. I was able to get a plumber out to repair cracked pipe and odor is gone. 4 Seasons gave me a reasonable estimate for new HVAC system and I will definitely contact them when I am ready to replace system. I am very grateful for the time they spent locating my problem, even though that was not the reason they were here. They were so knowledgeable and professional and I highly recommend them. Anthony was our service tech; he was very polite, on time and explained the issue very clearly and had us up and running in less than a half hour of his arrival. Very happy with time it took Jay to diagnose and rectify the problem. I first called Sierra Air who said they would call back. After waiting 45 minutes I called Four Seasons who came out almost immediately and were gone by the time Sierra Air returned my call. Jay was the technician: prompt (actually a little early) and very knowledgeable. He took care of the problem with no problems. Great job, thank you! 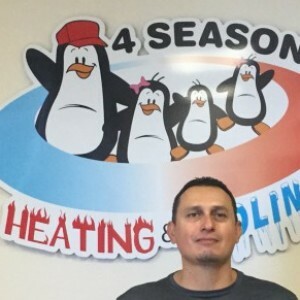 4 Seasons Heating & Cooling Team . Customer service is always a top priority at 4 Seasons Heating & Cooling. Our BBB Membership A+ rating is like a badge of honor as we continuously strive to provide the best experience for our clients.